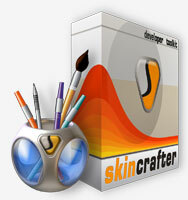 SkinCrafter is a mature, stable, and comprehensive application skin engine that allows programmers to create custom skins for Windows based applications. 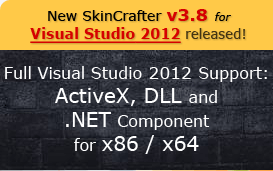 SkinCrafter is compatible with Windows XP / Vista / 7 / 8 and earlier versions. With its exclusive application skinning engine, implemented as a standard Windows ActiveX control and .NET component, SkinCrafter lets you design unique styles using creative special effects for fully interactive GUI development and more.